Before Alton Brown, Rachael Ray, and Giada De Laurentiis, there was Louisan Mamer (1910–2005). 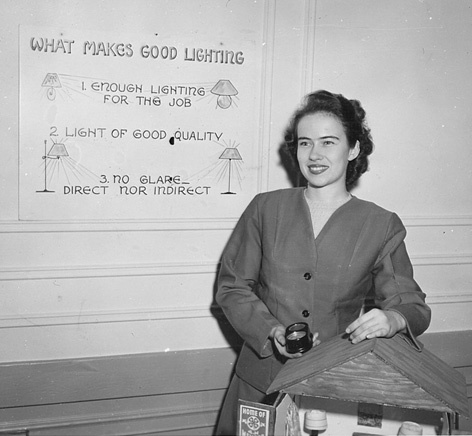 An early employee of the Rural Electrification Administration (REA), Mamer traveled around the country teaching farmwomen how to use electricity in their daily lives. Demonstrating how to cook with electricity was a major part of Mamer's job and she developed many recipes during the course of her career. Born in rural southern Illinois, Mamer grew up on a farm without electricity and running water. Her background resonated with the communities she later interacted with because she was not an outsider; she was one of them. 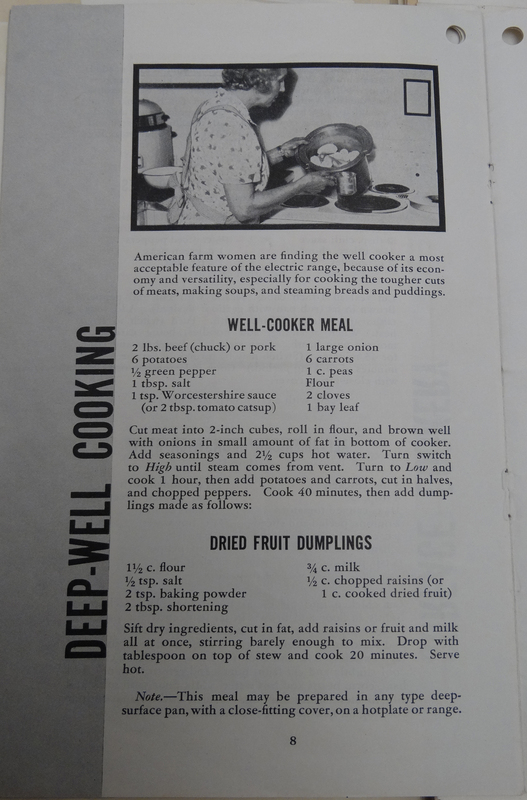 She attended the University of Illinois, College of Agriculture, and received a BA in Home Economics in 1931. Her rigorous training included chemistry classes and laboratory experiments that taught her how cooking changes food. Writing experience with her college newspaper and her rural background helped her land a job with the REA in 1935. The Rural Electrification Administration was part of Franklin Delano Roosevelt's New Deal. Its goal was to bring power and electricity to rural areas, most of which were not served by private utilities. Besides lighting homes and schools, using electrical machines would improve productivity for farmers and make farm life more comfortable. The REA was not a government grant program or a handout. Instead, it made low-interest loans available to locally organized electrical cooperatives. Communities worked together to form a cooperative, applied for an REA loan, and helped build the electrical system they then owned. The REA touched many lives around the country—including those in Charles County, Maryland, where I live. SMECO, the Southern Maryland Electric Cooperative, is one of many such organizations. Based in Washington, D.C., Mamer worked in a wide variety of roles at REA until her retirement in 1981. Among her assignments, she drafted recipes for electrical cooking, wrote and reviewed REA publications, and gave conference lectures. On the occasion of her retirement, coworkers referred to her as the "First Lady of the REA." 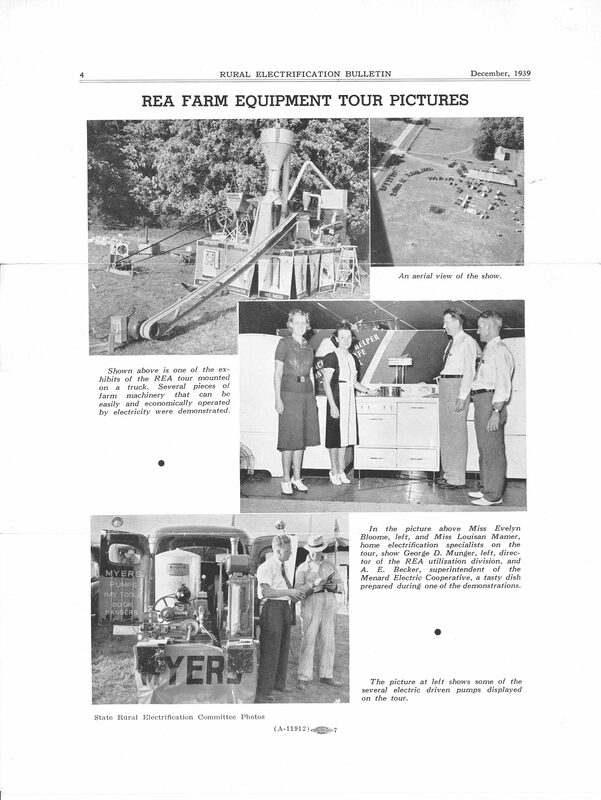 From 1937 to 1941, Mamer took part in an REA program that traveled to rural communities in many regions of the country. Inside large circus tents, the local residents were treated to electrical demonstrations that included cooking, among other activities. 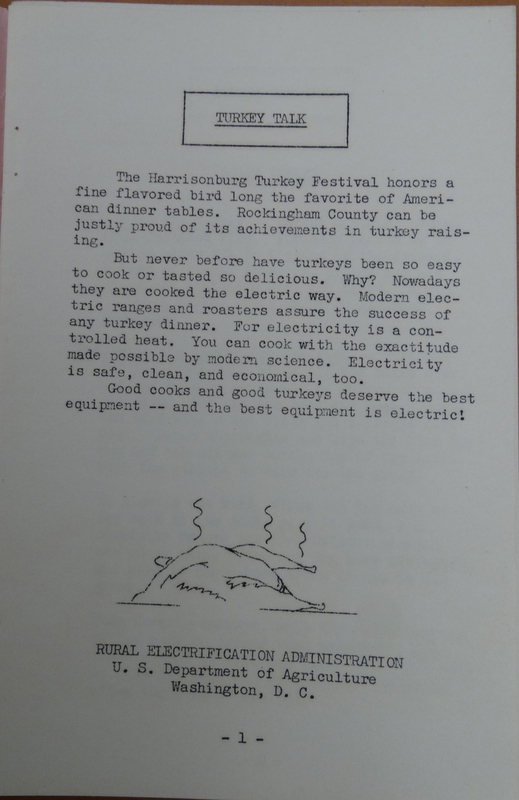 In a program organized along gender lines, men learned about electrical equipment used in fields and barns, such as milking machines, while women learned about household uses of electricity. If the program succeeded, people had a good time and might then decide to organize a cooperative. As America prepared for war through 1941, REA officials transformed the electric circus into the Electro-Economy Tour and Mamer continued her educational efforts. Their aim was to "increase farm production electrically" as part of the war preparations. 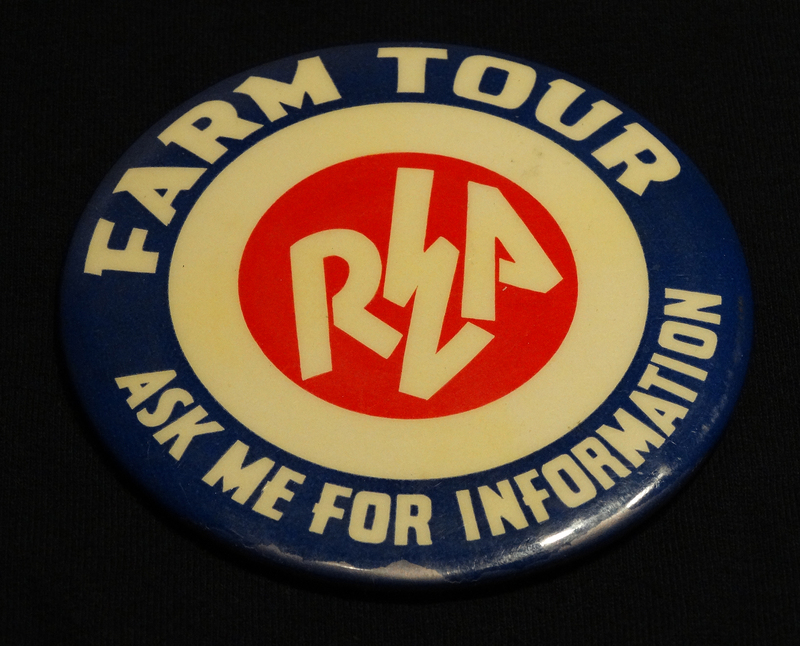 Ultimately, the REA tours were discontinued one week before the attack on Pearl Harbor brought the United States into the war. After the war, Mamer resumed touring with a revised REA program. 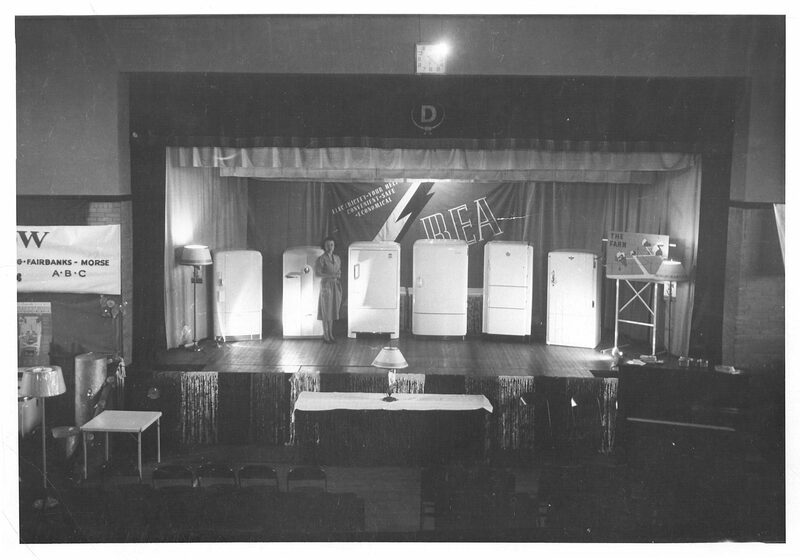 One of Mamer's main tasks as a Home Electrification Specialist was to demonstrate electric appliances, especially those for cooking such as ovens, refrigerators, hot plates, and waffle irons. Now that your house had electricity, what could you do with it? Since most communities used familiar coal or wood for cooking and heating, Mamer and her colleagues taught their audiences how to get the most out of their new electrical appliances. While her audience was mostly women, on the last day of the show two local men did get involved as part of a "cooking duel" which for Mamer "was a highlight of the whole program." Mamer's role often involved being a friendly face on stage, but she had done real research and was an experienced writer. In college, she had planned to be a writer but needed "something to write about" and so studied home economics which "satisfied her craving" for writing. Her work for the Daily Illini and the Illinois Agriculturist made her an effective spokesperson for the REA. Major responsibilities in her job included editing and reviewing official publications, especially for cultural content, and teaching classes. She also wrote technical articles and recipes used when touring with the electric circus. In 2003 Mamer donated a variety of objects and a large collection of her papers to the museum. Besides the items pictured, an electric stand mixer she used is on display in our American Enterprise exhibition. In subsequent years her family donated additional objects, including the deep-well cooker pictured here. Louisan Mamer showed many people that there is more to cooking than tossing ingredients together. In college she learned the real science, which she later used in demonstrations that helped people live better lives. That was her goal in joining the REA in the first place. As with famous televised cooks and chefs today, Louisan Mamer was an early proponent of teaching cooking to everyday people—she just met them under the bigtop instead of in the living room. Connie Holland is a project assistant in the Office of Curatorial Affairs. A love of cooking and baking fed her curiosity to produce this blog. The Louisan E. Mamer Rural Electrification Administration Papers are located in the museum's Archives Center. Mamer's birthday is August 28, 1910. Celebrate by cooking something (with electricity)!